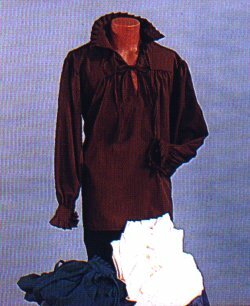 Shirt gathered into a yoke with tie closures at collar and cuffs. Pleated ruffs at collar and cuffs as well. Available in Brown or White, size Medium (42-44) or Large (46-48).